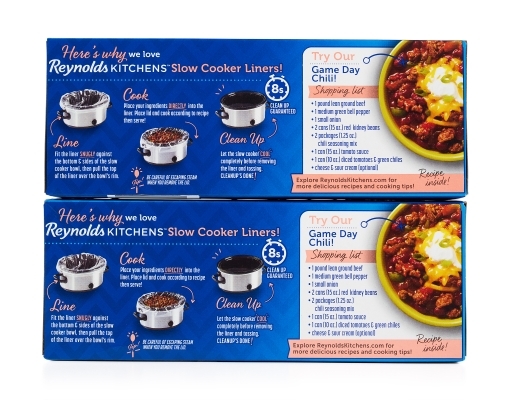 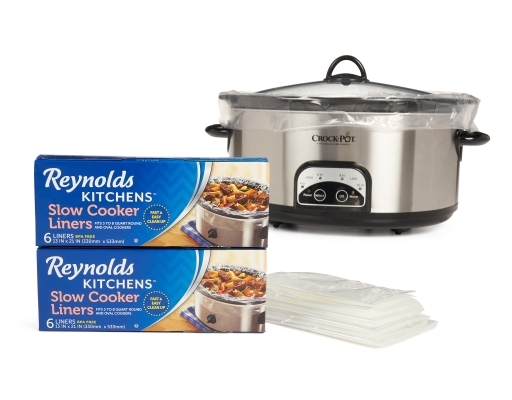 Reynolds Kitchens Slow Cooker Liners help take the mess out of slow cooking by making clean up a snap. 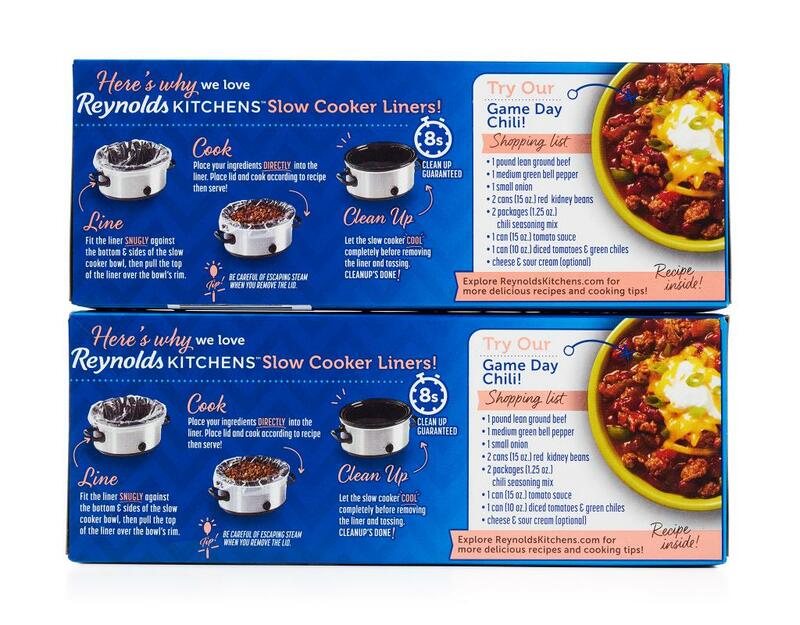 Cook tasty chili, scrumptious game-day meatballs or warm, delicious soups; get adventurous and try making breakfast or dessert in the slow cooker too! 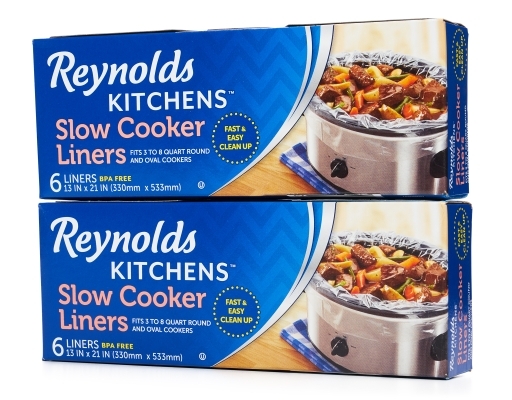 Just line the slow cooker before turning it on and putting in the ingredients. 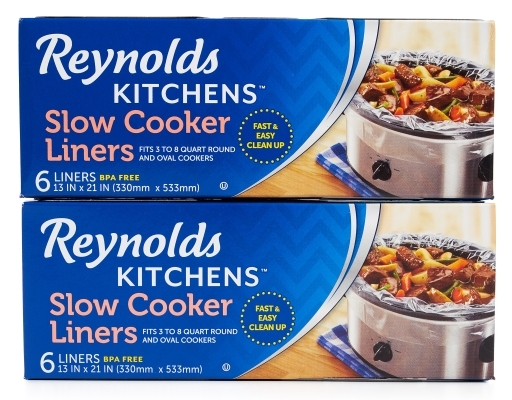 The slow cooker safe material does not affect the cook time or taste of the food. 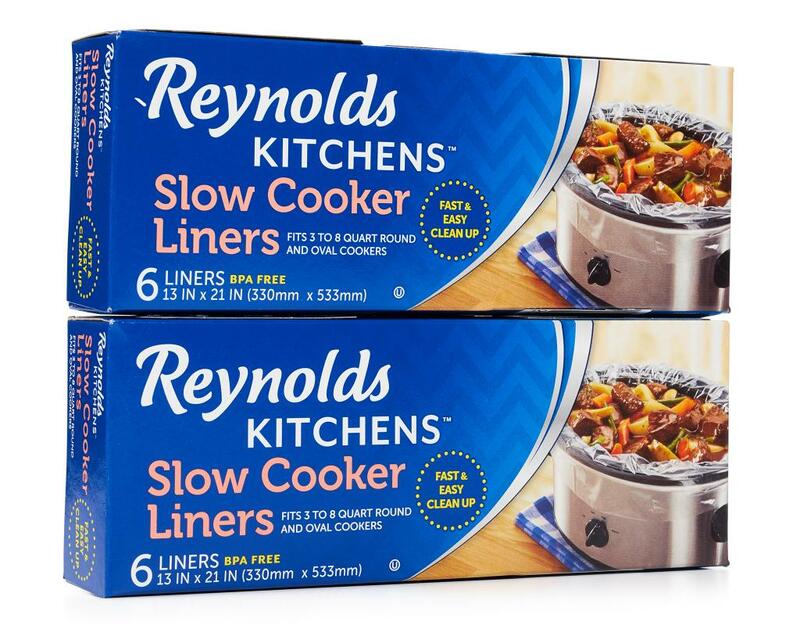 Once the food is cooked and served, throw away the liner – no soaking or scrubbing needed!